Our team recently tackled a San Francisco renovation where lighting was limited due to a zero property light well that was closed off with a trellis to conceal the house next door. In order to bring natural light into the home without compromising the privacy of the home, we redesigned the Box Bay windows in the space to give width and depth to the room. Each window illuminated the room which created a more open and inviting space. We wanted to keep the space as simplistic and understated as possible while adding luxurious design elements that livened up the kitchen. 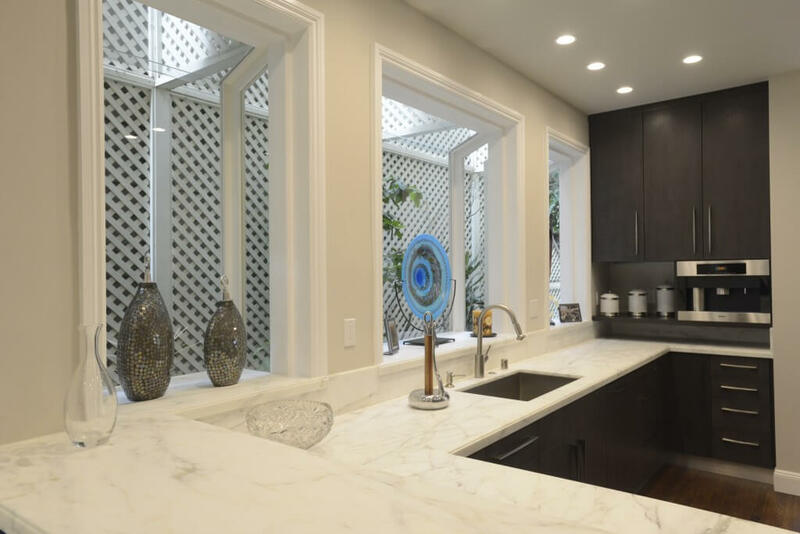 In an effort to keep the kitchen design consistent we added identical white Calacatta marble slabs and detail to each window sill to match the counter tops. Check out the brand’s features and details on Houzz. The windows were trimmed out to match the rest of the room and to retain the traditional feel of the space. We kept the space simplistic and understated, while still livening up the kitchen with luxurious elements and natural lighting. 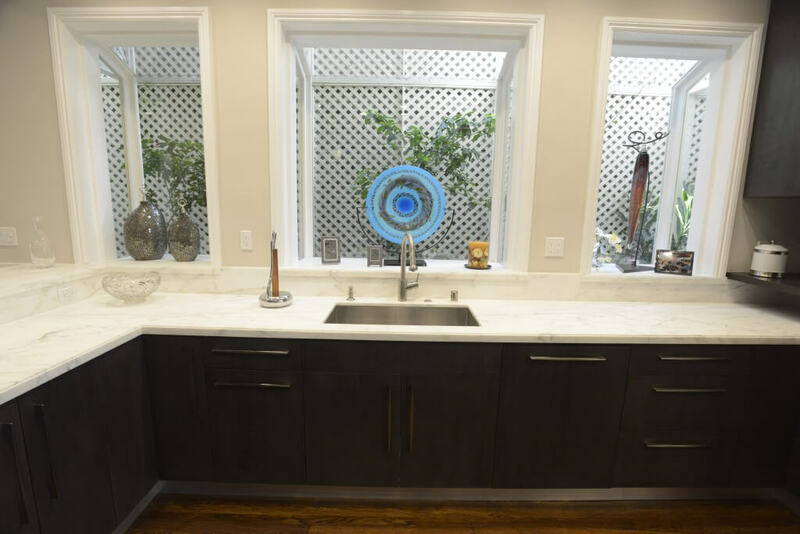 If you’re looking for a kitchen or bath redesign without renovating your entire space contact the design experts at Domicile San Francisco. We will work with you, your home and your budget to create a cohesive and creative redesign plan.